Delegation is a learned skill. And, once you begin letting go of inconsequential tasks, you give yourself more time to work on what’s truly important. Do you really need or want to spend time making phone calls? Or researching travel? Instead, you can work on the key factors driving your business. On a personal front, you can spend more time with those you care about. You may be thinking, “if I only had someone to handle my tasks.” That’s where a virtual assistant can change the way you work. Delegate the to-dos that someone else can do for you – then concentrate your time on the important items only you can do. All the while knowing the other stuff is still getting done by someone you know and trust. This is the power of a virtual assistant. The Little Things That Add Up – The truth is, most small tasks aren’t that small. What was supposed to be a 5-minute task turns into 20. A half-hour job becomes an hour, and so on. Let your virtual assistant do the small, odds jobs that inevitably take more time in your day than they should. Online Tasks – Online tasks are great items to delegate because they can be done from anywhere. Your virtual assistant can be online while you concentrate on in-person tasks only you can do. Confirming Appointments – You may not be confirming your meetings and appointments currently, but if you have ever arrived an engagement only find out the other side couldn’t make it, you know the importance of this task. Managing Your Social Media – If you are a small business owner, you might not have time to keep up with your social platforms. Or, you may not be up on the latest trends and networks. Let your tech-savvy assistant amplify your business on social media while you conduct your business. Organize Your Expenses – Expense reports are not fun. And, if you are like most people, you put them off until they are a mess of crumbled receipts. Let your VA organize your expenses as they occur and have them ready when you need to submit your report. Online Research – While research often seems like a fun task to do yourself, it often deteriorates into surfing the internet. (See #2) Let your virtual assistant do the dirty work and bring you a summary of topics or options. Arranging Travel – Most people spend several hours booking travel. (Over 50% spend over an hour booking a simple ticket.) Whether it is booking airline tickets, or just a shuttle to pick you up, your virtual assistant can take this task off your plate. If you want more time for yourself, maybe it’s time you gave up some of your tasks to a virtual assistant. Hesitancy to give up control of tasks is probably a sign you need some assistance. In many cases, a virtual assistant can perform your administrative tasks faster, better, and more effectively than you can. 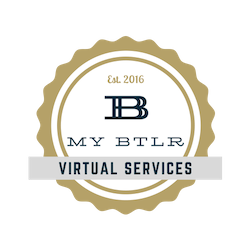 You might be surprised just how much time and effort you can save with a virtual assistant. Time you can devote to the things you want to do. Contact us to learn how our virtual assistants can help you. Older PostWhen Did Your To-Do List Become a Full-Time Job?